Whether you’re planning a special occasion for just a few close friends or a massive corporate gathering, getting the catering right is a key element in an hosting an event to remember. 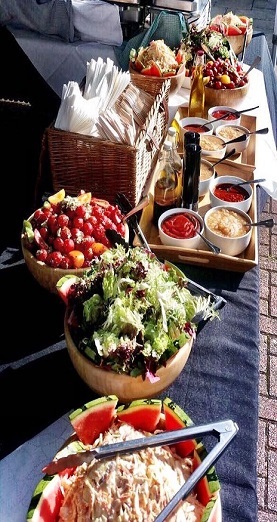 Kent Hog Roast event organisers offer a brilliant catering service that’s sure to be a hit with guests of all ages. At Hog Roast Kent we specialise in providing everything you need to host a tasty hog roast menu. Not only will we provide you with the hog itself, but we bring the roasting machine, professional chefs and everything else you’ll need to prepare your food fresh on site. We only use the finest local ingredients in our Hog roast catering too. At Hog Roast Kent we are really proud to be able to base our catering business here in this brilliant place and are constantly in awe and admiration of its fantastic people and beautiful landscape. For us, there couldn’t be a more perfect place to be able offer incredible food at some of Kent’s most impressive, special and memorable events. 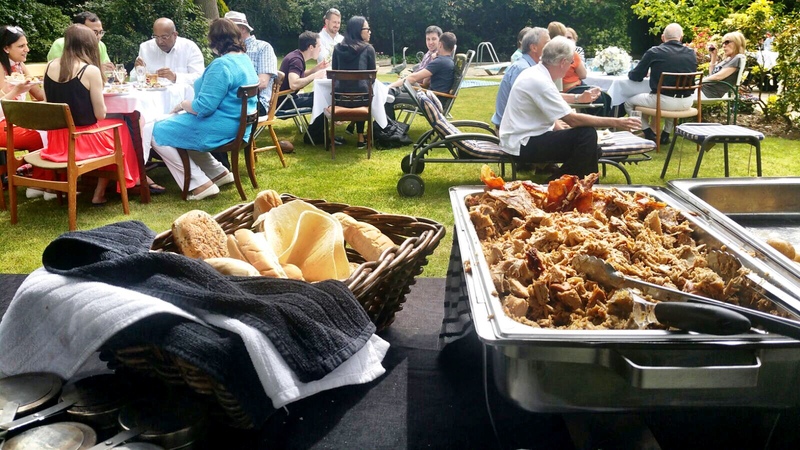 With our extensive experience in catering at events of all shapes, sizes and occasions you can be assured that the Hog Roast Kent team will put their all into providing excellent food for your special day. Whether you are getting married, hosting a business event or throwing a party for one of your nearest and dearest, our professional staff will ensure that you and your guests receive only the highest standards of food and service. If you have any kind of upcoming event in the Kent area, are excited at the thought of our highly skilled team providing tender cooked meats with our impressive spit roasting method, then give us a call today. 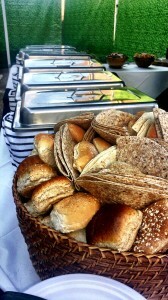 Catering for your own event is often stressful, time consuming and difficult to manage. Let us eliminate those worries and stresses for you. After all, you should be able to enjoy your day too! Getting people together around fantastic food is our ethos and passion here at Hog Roast Kent and we very much look forward to hearing from you! We have ten years of experience in Hog Roast provision and it’s not just the food that we are proud of. We offer outstanding customer service and only use safe and efficient hog roasting equipment at all our bookings. Kent Hog Roasts have previously catered for private parties, weddings, charity functions and many other special occasions. We’re happy to offer your guest something a little different to the typical spreads and platters that your guests will have come to expect. Planning a function means taking a lot into consideration, with so many finer details to think about. For the best possible event, you need to book a brilliant venue and entertainment as well as the catering; let us take the hard work of feeding you guests off your hands. This marvellous county is home to 13 wonderful and diverse districts from the historic city of Canterbury to the dramatic waterfront of Dover and the much loved town of Sevenoaks. Often cited as the ‘Garden of England’ Kent proudly produces some incredible produce due to its climate and abundance of rolling green fields. Kent is a town that is becoming increasingly popular much due to its popularity with commuters of nearby cities, it’s strong transport links, incredible heritage and not forgetting it’s wonderful areas of outstanding natural beauty. Kent really is the place to be. 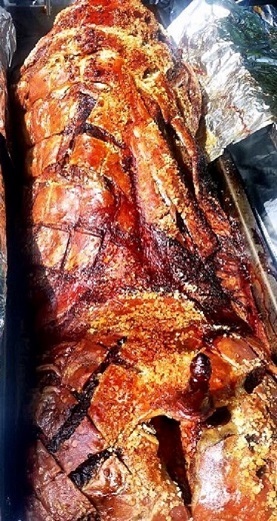 At Hog Roast Kent we will provide you with everything you’ll need to host a great hog roast, from the roast machine and the cooking gas, to the succulent hog itself. We have trained chefs on hand to prepare, cook and serve up your hog roast to your guests, meaning you don’t need to worry about a thing. We can provide a specifically tailored quote for you – taking into mind exactly what you need, from the equipment to the amount of guest you have to feed. Copyright © 2019 Hog Roast Kent . All Rights Reserved.